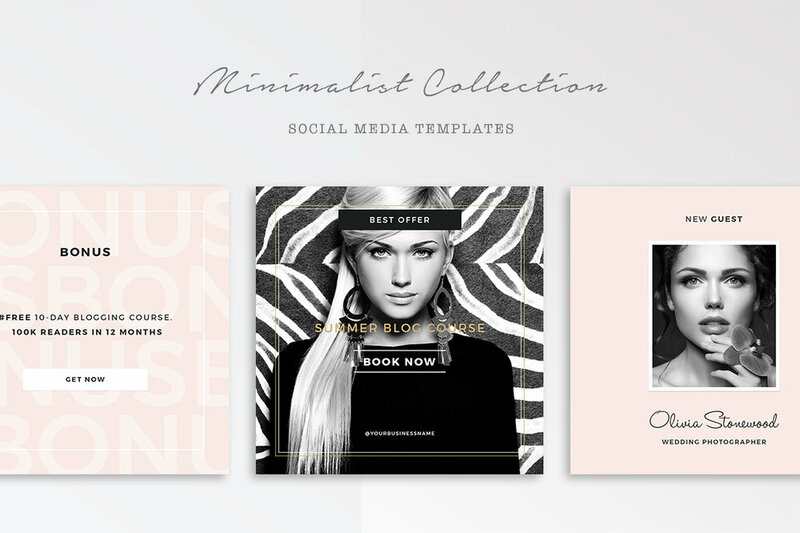 Minimalist is an elegant and chic social media pack for bloggers, designers, shop owners, entrepreneurs and businesses who want to stand out from the crowd, promote and sell their products through Instagram. 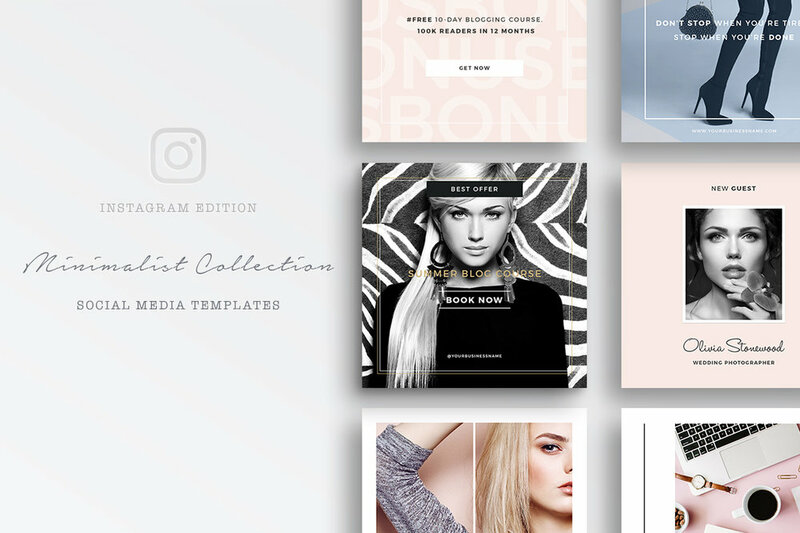 These templates will help you easily create a consistent look of your brand and increase your social presence, create more engagement, and grow your business with less time, money and effort. 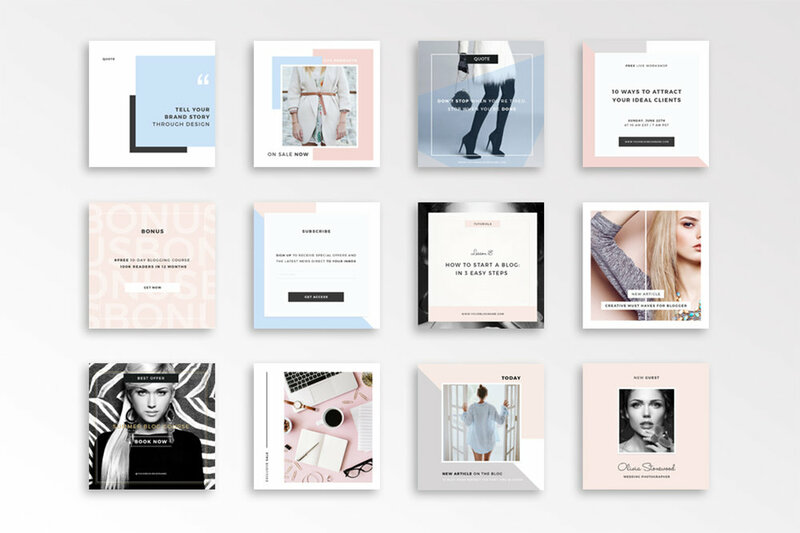 The Minimalist Social Media pack includes 12 designs. It's fully customizable and easy to edit. Simply drop your content into the template, save and publish it. You need a basic knowledge of Adobe Photoshop (help file is included). 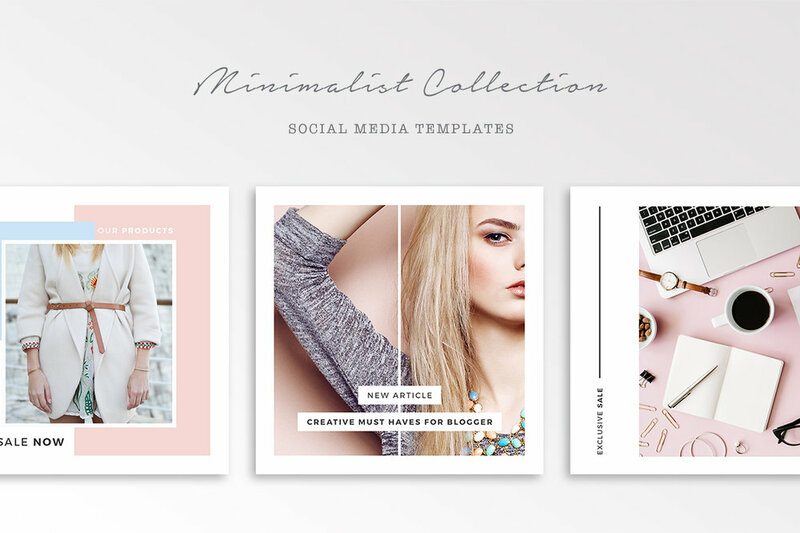 Minimalist Social Media Templates for Instagram are a downloadable set of 12 Photoshop templates for social media graphics.